You are currently browsing the The Pet Product Guru blog archives for March, 2017. It’s very common for a dog to be afraid of thunder but there are ways to help your dog over come his fear. One idea may be to play music of storm noises while doing something that he enjoys like playing with his favorite dog toy or eating his favorite treat. You have to be careful not to make the problem worse by rewarding him for his fear. It’s better to distract a whining dog then to pat him. This attention will only re-enforce this kind of behavior. If the problem is severe and behavioral training doesn’t help, have him accessed to make sure he doesn’t have a general anxiety problem. Treatment for anxiety usually involves behavior modification. If your dog is truly terrified whenever there’s a thunderstorm, ask your vet about pet medication that will calm him down. If you’re reading this at work or home, you can have great oldies playing all the time in the background. The Edgewater Internet Radio Network offers three great oldies stations and tons of oldies variety. Edgewater Gold Radio provides that largest variety of oldies from the 50’s through the early 80’s plus added pop standards. Rehoboth Radio plays exclusively 50’s and 60’s. The Beach Station is our newest addition and features more oldies from the 50’s 60’s 70’s plus great beach music! So enjoy Edgewater Gold Radio and our others all the time! Molly, my almost 18 year old has her ups and downs. 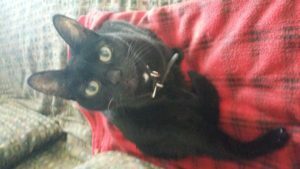 Molly, as you know is my almost 18 year old cat that is battling a number of issues including kidney disease and hyperthyroidism. You may not be like me, but I get really attached to my pets and Molly has been an important part of my life for almost 18 years. Over the years, she has become very attached to me and I have spoiled her very much. So needless to say, I get stressed out because I am doing everything I can to maintain a quality of life for as long as I can. Our pets can’t live forever but I am grateful for everyday that Molly is here with me. Over all, Molly has been holding her own. I’ve been making sure she eats and swallows her medication. Sometimes she sneaks away and spits it out! This week has been particularly stressful, she has been vomiting more than usual. Because I tend to worry, maybe more than your normal cat owner, I want to made sure that she hasn’t taken a downward turn. Vomiting is common with kidney disease but recently, Molly has not vomited much at all, until now. Cats with kidney disease must be given a special diet consisting of lower, high quality protein. I also have to make sure that she is hydrated. Molly frequently sneaks into the laundry room to eat some of my younger cat (Millie’s) food. It’s dry food that is not good for her. This could be the reason for her increased vomiting. I have decided to move Millie’s food to the top of the dryer so Molly can’t get at it. Now this “worry wort” has to make sure that Millie knows where I’ve moved her food and I that she can easily get to it and is eating regularly. We make great sacrifices for our pets. I will not go far on vacation because of Molly’s age and medical condition. This is my choice and I am fine with it. I am grateful to have Molly with me and I know that she would prefer me there with her as she makes her way through her golden years. Do you love oldies but get frustrated because you hear the same songs over and over? We have the solution. Three oldies stations that have more oldies variety than you’ve ever heard before! Edgewater Gold Radio – The 50’s through the early 80’s and great standards! Rehoboth Radio – Exclusively 50’s and 60’s. The Beach Station – More great oldies – 50’s 60’s 70’s and great beach music! Listen to all three great oldies stations and download our free Edgewater Gold Radio app from our website. The Edgewater Internet Radio Network! Dogs are social animals and a well trained dog is generally well behaved when meeting strangers. It helps to follow some basic steps when approaching any dog that you haven’t met before. First, it’s a good idea to ask the owner if it’s OK to great the dog. Always approach a dog when he’s on his dog leash. So you don’t intimidate the dog, bend on one knee beyond the reach of the dog. Remember, size matters and you are a big presence. Don’t stare directly at the dog and if you’re wearing a hat or sunglasses that may spook the dog, remove them slowly. Then, extend the back of a closed hand so the dog can sniff you. Once mutual contact is established, some mutual scratches under the chin and chest will help you become fast friends with you knew acquaintance. Listen to our great internet, oldies radio stations right here! We’re keeping the memories and music alive! Water is a very important part of a cats diet and cats seem not to drink enough of it. 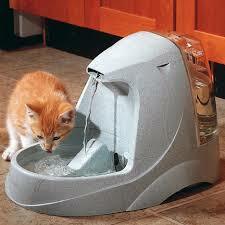 In order to prevent diseases and dehydration, you must ensure that your cat is drinking enough of fresh water. A cats water bowl should be filled at all times and should be changed frequently. I provide clean water and change the water bowls several times a day. I use filtered water only. My cats weren’t drinking enough water. I provide two water bowls and have also added an automatic water fountain that my younger cat Millie has claimed. The fountain provides fresh flowing water at all times and my cats love it. I change the water and clean the filter once a week. Today, while I was cleaning the fountain, Millie was sitting and staring at me meowing as if to say “where is my water?” If your cat doesn’t drink enough water, an automatic water fountain may be the answer. They cost between $80 and $120 and are available at Petco and other large pet stores. They are well worth the investment! It’s the weekend and the “oldies madness” continues all the time on three great oldies stations. Edgewater Gold Radio – oldies variety from the 50’s 60’s 70’s early 80’s and pop standards. Rehoboth Radio 5060 – Exclusively the great oldies from the 50’s and 60’s! The Beach Station – More great oldies plus beach music to remind you of the greatest summers of your life! Edgewater Gold Radio, Rehoboth Radio and the Beach Station can be heard on our website. The Edgewater Internet Radio Network! My partner loves birds and works at a hotel where there are two parrots in the lobby. He has grown to love these birds and frequently takes them out and has them sit at the front desk with him. We discussed getting one of these fantastic birds for ourselves but the same subject always comes up, our age and the lifespan of a parrot. The bottom line is that the bird will probably outlive us. 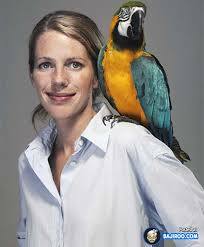 Parrots get very attached and would be heartbroken and may even die if they lose their owners. So that remains a big problem. So at this point, adopting a parrot is off the table. If you are considering adopting a beautiful parrot, you should also consider it’s lifespan and whether or not the bird can be provided for after you’re gone. Thespruce.com has provided a list of birds and their life span. Take a look, you may be surprised. Oldies live on just like parrots do. We have your oldies and the best music that you grew up with! Edgewater Gold Radio – the 50’s through the early 80’s plus great standards! Rehoboth Radio 5060 – The greatest variety of the 50’s and 60’s! The Beach Station – More great oldies plus beach music! Listen to Edgewater Gold Radio, Rehoboth Radio and The Beach Station from our website: The Edgewater Internet Radio Network! Cat Nap or Cat Hibernation? Sometimes I wonder why my cats sleep sooooo much. When I’m at home, they spent most of the day curled up in their favorite spot fast asleep. I ask myself, is it the company? Am I that boring?? The amount of time a cat sleeps depends on it’s age and personality. 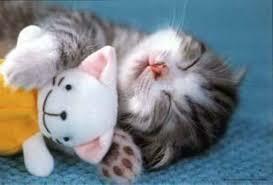 Cats spend an average of 13 to 16 hours sleeping daily. Did you know that only the Opossum and the Bat sleeps more? They nap nearly 20 hours a day! Nobody is really sure why cats sleep so much. They’ve evolved from a long line of hunters and predators. Their sleep patterns reflect that. Cats are crepuscular which means that they are most active at dusk and dawn. So don’t worry if your cat spends most of his day snuggled up in his cat bed. Don’t you wish you had the opportunity to sleep even half as much? As for your music, Oldies are at your fingertips. Great oldies on three oldies stations! Edgewater Gold Radio – 50’s through early 80’s plus great standards! Rehoboth Radio 5060 – Exclusively 50’s and 60’s. The Beach Station – More great oldies and beach memories! Hear all of our oldies station, Edgewater Gold Radio, Rehoboth Radio and The Beach Station on The Edgewater Internet Radio Network! add comment Comments Off on Cat Nap or Cat Hibernation? 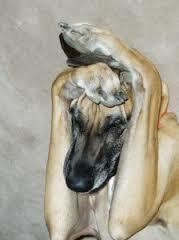 Many larger dogs will some from hip problems at some point in their lives. Sometimes, you’re at a point that you don’t know what to do to ease their pain. Fortunately there are products that can help. Hip Dysplasia is a form of Arthritis so joint supplements can help.There are some homeopathic remedies that may help like Dasuquin with MSM for Dogs ,Super Joint Enhancer Soft Chews, and Cosequin. 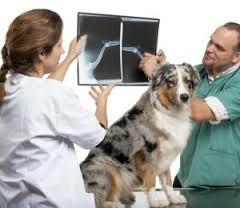 Pet Meds.Com offers additional products and tips for you to dogs with hip Dysplasia. If your dog has a predisposition to canine hip dysplasia, we recommend supplementing your dog’s diet with joint supplements, antioxidants, and Omega 3 fatty acids to help decrease the tendency to develop hip dysplasia, and to help control pain if it develops. Research shows that 75% of dogs with hip dysplasia will lead normal quality lives with the appropriate supplements and wise management. Decrease your dog’s jumping by using pet steps and ramps. Elevate your dog’s food and water bowls. Thanks to Pet Meds.Com for supplying this important information on Canine Hip Dyplasia. Looking for the oldies you grew up with buy can’t find them anywhere? We have your solution. Three great oldies stations at your fingertips! Edgewater Gold Radio – More oldies variety from the 50’s through the Early 80’s plus great standards. Rehoboth Radio 5060 – THEE place for 50’s and 60’s! The Beach Station – More great oldies from the 50’s 60’s and 70’s plus beach music! Listen to all three great stations from our website and download the free Edgewater Gold Radio app now! Most of us don’t like to think about planning a will and sometimes neglect to do so. Our pets should not be left out and they should be provided for. There are several ways that you could do this. The first is to leave your pet in the care of a friend or family member, then leave that person a specific sum of money to care for your pet. You must be certain that the person that you’ve chosen to take care of your pet will honor your wishes and use the money specifically for that purpose. You can also establish a trust for the care of your pet after you’re gone. You name a caregiver who will be responsible for the care of your pet, you also name a trustee that will be in charge of your pet’s money.The money will be used for food, dog or cat accessories and anything else that your pet may need. You then fund the trust with enough money or property to meet your pets needs during it’s lifetime. Leave written instructions as to how the pet should be taken care of. This way, the obligations of the caregiver and trustee are legally enforced. 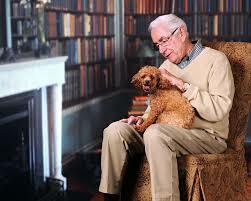 Speak to your estate planning attorney for the best way to make sure that your pets are included in your will. 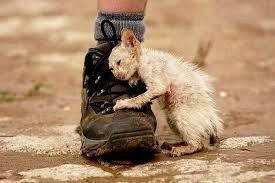 This will give you peace of mind that your pet will not be abandoned or sent to a shelter. If you’re an oldies lover, you’ll love our three great oldies stations and our website – The Edgewater Internet Radio Network. Rehoboth Radio 5060 – The best variety of the 50’s and 60’s. The Beach Station – memories of Summer! More oldies and summer songs! The moment that you decide to adopt an outdoor cat, it becomes part of your family. Usually these cats spend most of their lives both indoors and outdoors. You let them out periodically, you feed them, they cuddle with you on the couch, you give them a name and take care of their needs. I’ve heard some disturbing news recently where some people who have adopted an outdoor cat, abandon that cat when they move! You know what I’m going to say about this! These people are not animal lovers and have no right owning and caring for a pet. Period! end of story! I don’t understand how someone can abandon a beloved pet. The only answer that I come up with is that these type of people are self centered and agree to adopt an outside cat because their child want it or they are amused to see this cat appearing in their yard and started feeding it. This is the wrong reason to adopt people. My cat Molly who is now 17 1/2 years old and is cuddled next to me as I write this was a feral cat. I was coming home from work, parked my car in my garage and heard a tiny meow coming from a car in the parking lot of my complex. I looked under the car and there was Molly, alone only 5 weeks old. She walked over to me. I picked her up and took her inside. The moment I picked her up and took her in, she belonged to me and became part of myfamily. She goes where I go. It is the same thing when you adopt a cat who goes in and out! I’ll always say there are very cruel people out there! If for some reason you can’t take your pet with you, you make arrangements for her adoption. Take some responsibility, it’s your duty! Your place for oldies is right at your fingertips. Three great radio stations playing the largest variety of oldies from the 50’s to the 80’s plus we add it some great standards as well. Edgewater Gold Radio – 50’s 60’s 70’s 80’s, pop standards. Rehoboth Radio 5060 – great variety of oldies from the 50’s and 60’s! The Beach Station – more great oldies plus beach memories! The Edgewater Internet Radio Network – listen to Edgewater Gold Radio, Rehoboth Radio and The Beach Station from here! Happy St. Patrick’s Day! Today we’re going to take a look at the beautiful Irish Setter. Irish Setters were bred in Ireland as field hunting dogs. Irish Setters have a great sense of smell and could sniff out birds from a great distance They are able to track the location, and then silently freeze in place so the hunter can follow and get his prey. Dog enthusiasts began to take note of the beautiful Iris Setter around the 19th century. They were first bred in multi color combinations but the re color eventually took precedence. The red Irish Setters were first brought into the United States in the beginning of the 19th century. They were accepted into the American Kennel Club in 1878. The breed continued to gain popularity over the years eventually becoming one of the most popular breeds in the 1970’s. 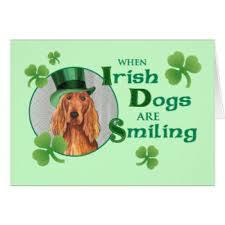 Irish Setters make excellent companions. The Irish Setter is current number 67 in the AKC’s dog registry. Lovin the oldies? We have some great choices for you right here! Edgewater Gold Radio – the greatest variety of the 50’s through the early 80’s plus some great pop standards ! Rehoboth Radio 5060 – Oldies of all kinds from the 50’s and 60’s. The Beach Station – even more oldies from the 50’s 60’s and 70’s plus great beach music. All three stations can be heard on our website. The Edgewater Internet radio Network!